Alfred Sisley – Musée des Beaux-Arts de Nice. 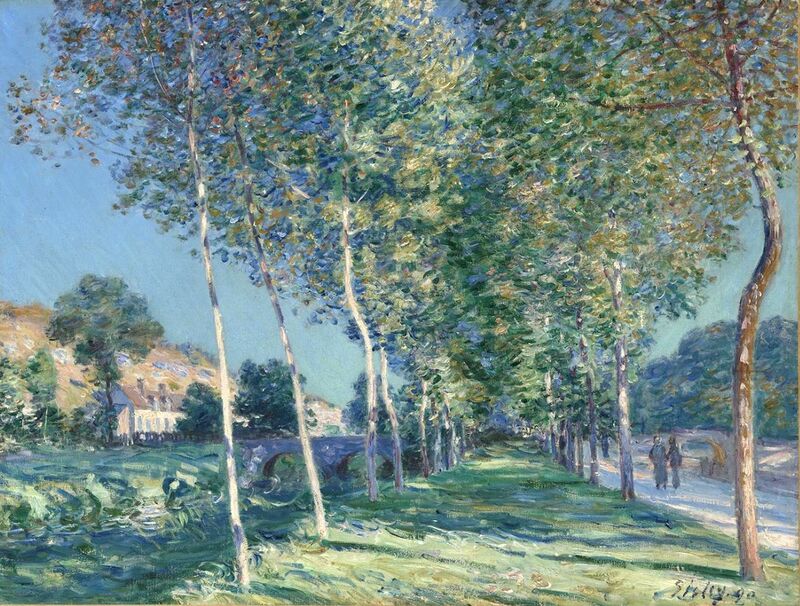 Title: The Lane of Poplars at Moret-sur-Loing. Date: 1890. Materials: oil on canvas. Dimensions: 62 x 81 cm. Source: http://s1.lprs1.fr/images/2016/03/20/5642719_11-1-2055097727.jpg. I have changed the light and contrast of the original photo.